If Victor Frankenstein built a car, it would be this. 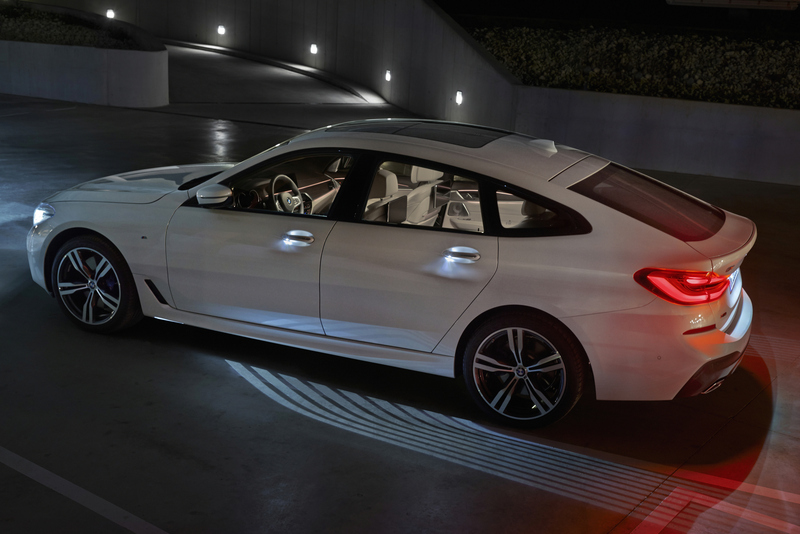 The first-ever BMW 6 Series Gran Turismo is what happens when engineers and designers attempt to blend all the different models – coupe, hatchback, crossover and sedan – into a single entity, get into fisticuffs, and make alterations to the prototype in the middle of the night without the other person’s knowledge. To be fair, the car’s aesthetics are incredibly distinctive. The long sloping back is reminiscent of a Porsche Panamera and the lines taper as they move forward to the front wheels. In fact, if you look at it from the front, the BMW 640i xDrive Gran Turismo looks like a typical BMW sedan. The car is made for long drives with its enormous boot space that lets you haul 610 litres worth of items. That’s more than most luxury SUVs in its segment. We managed to fit an entire Ikea shopping trip at the back and still have space for five adults. All that weight is not a problem for the three-litre inline-six engine, which has excellent torque in the lower ranges. It won’t win any drag races (0 to 100kph in 5.3 seconds) but is more than capable of rapidly bringing you and your family up north to Kuala Lumper without any fuss. And, as with the current crop of BMW cars, the 6 Series comes with a dizzying array of electronic aids. Some were helpful while we can imagine that others would be annoying to the experienced driver. The lane departure warnings, for one, were more bane than boon, and BMW insists on turning everything on each time you press the ignition even though you turned them off the last time you drove. At the very least, it’ll make you a more conscientious driver. Changing lanes? Better signal even though the roads are clear lest the steering wheel vibrate to chide you. The BMW 6 Series also comes with the now-iconic Display Key with Remote 3D View, quite possibly one of our favourite things about BMW cars simply because of how useful it is in Singapore. More often that not, you’ll be able to find your car in massive basement carparks by looking at the three-dimensional live image of the car and the surrounding vicinity, and can also check if you left any of the windows or doors opened. The BMW 640i xDrive Gran Turismo is built for practicality. It won’t win any beauty pageants but when you’re a family man with responsibilities who still wants to get away now and then, we reckon it’s the perfect car for you. The BMW 640i xDrive Gran Turismo M Sport is priced at S$389,800 (inclusive of CEVS rebate).